Have you ever experienced a Health Expo? With the many knowledgeable practitioners and a relaxed atmosphere, it can be very up-lifting. "Restore the Order: 5 steps to organize your space and feel the calm". Clutter and disorganization can drain energy and cause anxiety. How to get started and staying motivated can be tough to do. I'll provide a method to see your way through to the finished product where you'll feel the calm in your surroundings. For those of you too far away from Lumsden, Sask, an individual virtual session is just a phone call away. Take a look at your entry closet. Is it neatly organized with only the items you need and use, or has it become a dumping ground for anything that's dropped at the doorway? If it needs some help, start by relocating out of season clothes and accessories, and anything that's not used often. Then remove anything that's not needed on your way out the door. Purchase baskets that fit the space, and decide what vertical storage is needed (for example, a shoe holder that hangs off the rod). Use labels so that everyone in the household knows where things go. "Having a tidy, clean room as a child may have a positive effect on one's entire life"
Are you frustrated with the clutter in your child’s room? Have you ever wondered if their surroundings affect their learning or future? 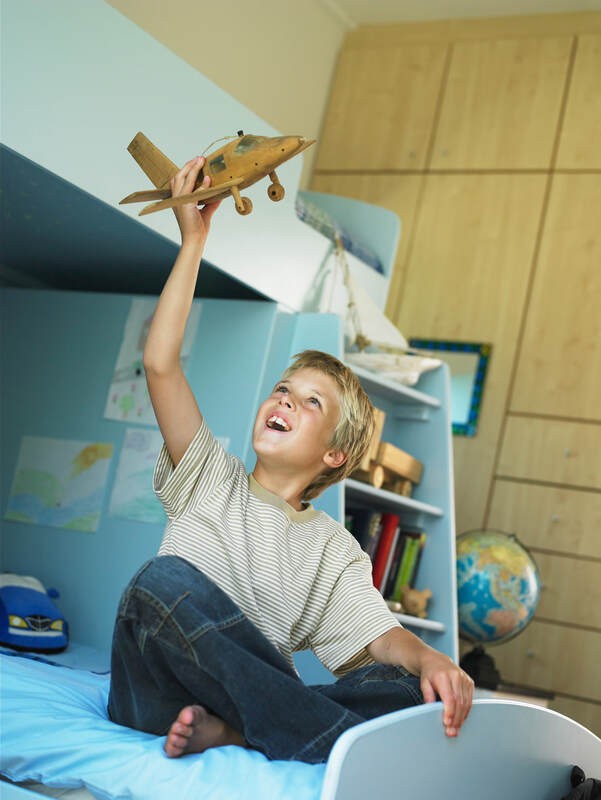 Now is a perfect time to help your child get their room organized. Their needs change quickly as they grow. Start by looking at what is in their room. What do they need put away, and where will it go? What items will they part with? If their current furniture and closet configuration isn’t working anymore, then it’s time for change. Re-purpose what you can and then plan a shopping trip to get what else is needed. Remember to include your child in this learning experience. Early “buy in” will help them keep their room neat. Schedule time to get the work done, and plan for regular “quick check-ups”. Look for the smile on your child’s face when they have a space they enjoy, and can share with friends. Does the space under your sink need some help? Sometimes all it takes is finding the right organizing product. 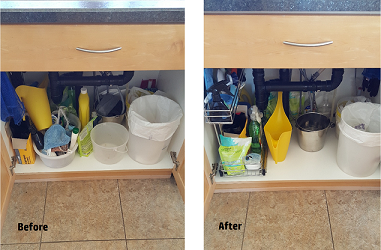 This 2-tired narrow pull-out shelf was the inspiration for getting this space cleaned-up. It holds the little items that were lost in the back, and gives easy access to cleaning products and brushes. I found this shelf at Costco, but it's also available on Amazon. Is Clutter in the way? Nearly 50% of surveyed homeowners said they won’t invite friends over if their home is cluttered. 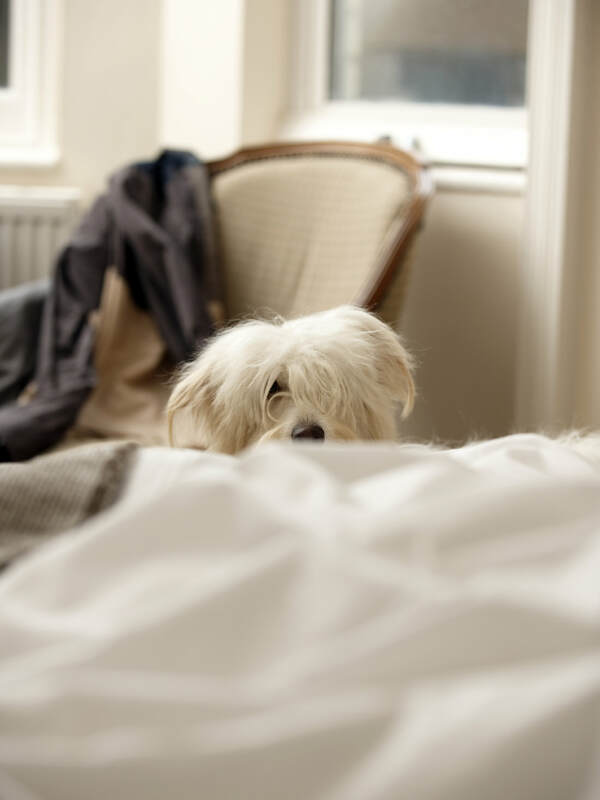 Do you run around straightening up when someone is coming over? Do piles of things get dumped into the spare bedroom? Or does the clutter stop you from inviting friends or family over? According to a Rubbermaid survey conducted by Russell Research, you’re not alone. Dealing with the clutter is the first step. I know, easier said than done, right? Short on storage space? Check what’s in your cupboards and closets and let go of what you no longer love, need, or use. Too much stuff for the size of the space? Sort like things together and then decide how much to keep. Do some things belong in a different room? Find a spot for them over there. Keep your goal in mind, and take steps in that direction. De-cluttering and organizing won’t happen overnight. Get help from family, friends, or a professional when the task is overwhelming or you need it done quickly. "80% of household clutter is the result of disorganization, not lack of space"
What does this mean? Even if you have too much stuff, can you keep it All? Reality is that even the largest spaces have their limits. Keeping only what you need, want, and use, and easily finding those things, is what organizing is all about. Transform and renew your space to be efficient, calm, and inviting! 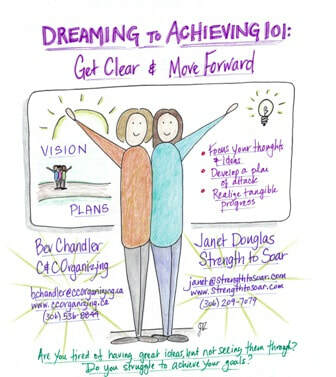 Contact Bev Chandler at C&C Organizing to discuss your specific situation. Has your garage become a storage center for everything but the kitchen sink? Do you have a hard time finding things? Are you tripping over everything? - Keep similar items together in designated areas; sports equipment, gardening tools, power tools, etc. - A workbench, with drawers and cupboards, gives a work surface and stores tools and supplies. An island workbench on wheels gives a movable work surface, with storage underneath. - Install shelving up high or above the garage door to hold seasonal, or rarely used items. These can hang from the rafters, or be mounted to the wall. - Cabinets with doors will make the space look neater. These can be short to hold a large power tool on top, or tall to store long items. Old fashioned lockers give a neat look to a garage. 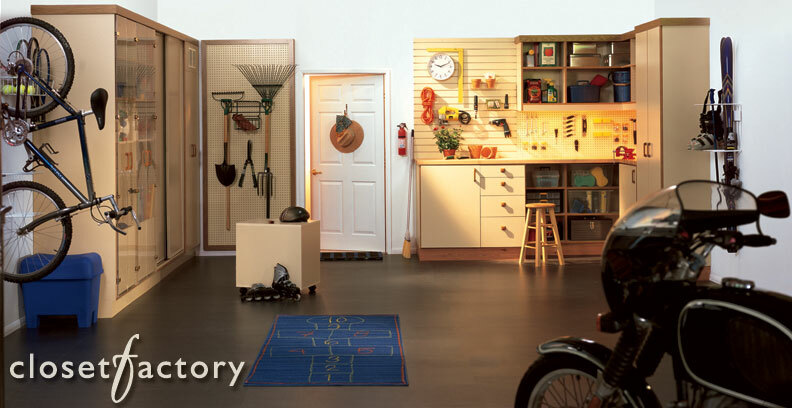 - Floor cleanup is quicker when items are hung up or placed on shelves. Specialty hooks are available for hard to hang items like sports equipment and gardening tools. Some laundry areas can be tight. And even those with more space can sometimes use a makeover. 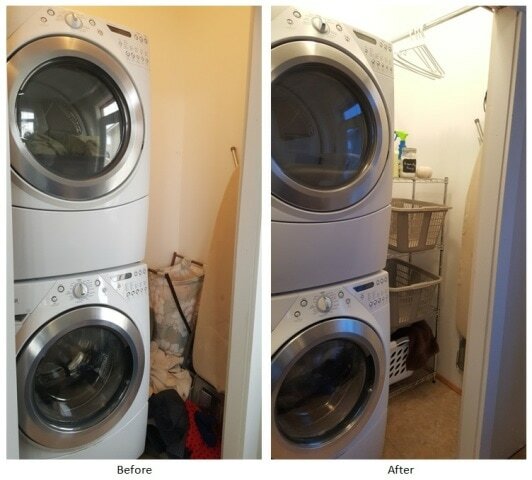 This closet-laundry area was transformed into an efficient space for getting tasks accomplished. - A shelving unit holds laundry baskets, going in or out of the space. - The top shelf keeps laundry supplies handy. - The iron and ironing board are hung on the wall. - The rod and hangers give a space for air drying. All this for the cost of a few materials. Perfect!